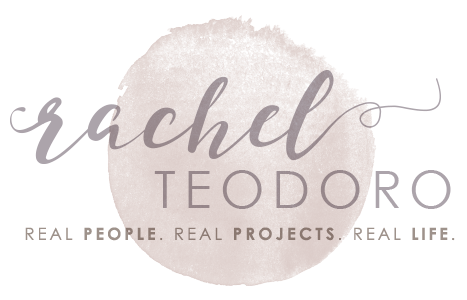 Yesterday, I gave you a peek at the bohemian bedroom that I just finished. I wanted a space that my son could come home for break from college and feel welcome and at home in, but I also wanted a space that I loved too. I went with a bohemian theme and ran with the idea that the bohemian style is made up of a lot of texture and patterns, in particular geometric patterns. 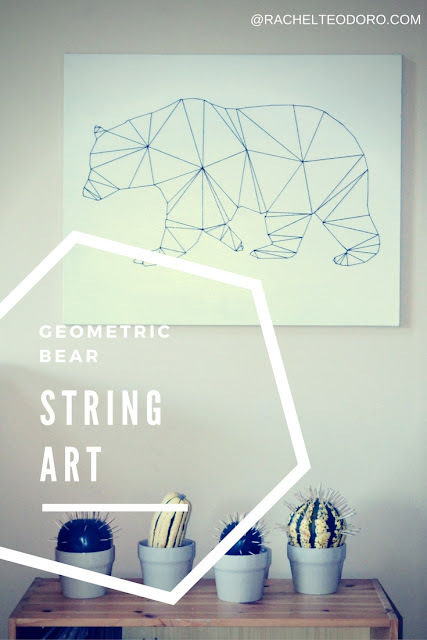 I created this bear string art canvas for around $2 and it's probably my favorite piece in the whole room. I'm excited to show you how I made it so that you can take the same idea and make something similar of your own. I picked up the large canvas at the Goodwill Outlet. You pay by the pound for most items, with the exception of frames and pictures, those are a flat price of a quarter. 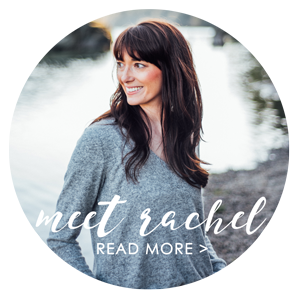 If my quarter find tempts you to shop, you can get my tips for how to shop Goodwill Outlet for the first time. When I pick up a used canvas, I just make sure that there are no holes or snags and that the paint that is on it is relatively flat. I simply used white paint over the existing picture and let the canvas dry. You could also pick up a canvas from your local art supply store. I found an image of a silhouette of a bear that I liked and saved the image. I used this tutorial to help me print the image on multiple pages essentially enlarging the image I wanted and making it possible to get a large image to fit on the large canvas. I taped the canvas together. You may need to trim the edges if your printed image has margins. I taped the silhouette up on my window and used a blank piece of paper over top of the image to make dots along the silhouette. I placed the dots every where the image curved or changed direction. Once you have your dots in place, use a ruler to connect the lines. You want to make sure that the image makes sense when it isn't as fluid as a regular image. I taped the paper with the lines on to my canvas. I took a nail to help me poke the dots that I had drawn. You could use your embroidery needle for this. I also edited down some of the holes I had drawn as I became more comfortable with the image. I made some dots that weren't necessary and I found that when I drew my lines in the step above. Those unnecessary dots just got looked over. I took out my embroidery floss knotting the end and outlined the perimeter of the bear first. After the perimeter was done, I started connecting dots inside the bear making sure I was always completing the shape of a triangle. The bear is quite large and has a lot of open space in the inside. I made 4 random points inside the bear to break up that area so the triangles could connect easier. Below you will see one of the first random points I made inside the bear to connect the triangles to. You will want to make sure you have large triangles and small triangles. I ended up using about three skeins of embroidery floss on this canvas. If your canvas is smaller, you will probably need less. My son's university mascot is the bear. They even have two live bears that live on campus. I love that I was able to bring in a little piece of where his heart is now, and include it in the design of the room. It's also pretty awesome when you can make a large piece of art for just a few bucks! Talk about making a statement! What animal would you try? It's a fun little craft DIY that won't take you a ton of time but that will make quite the impact. 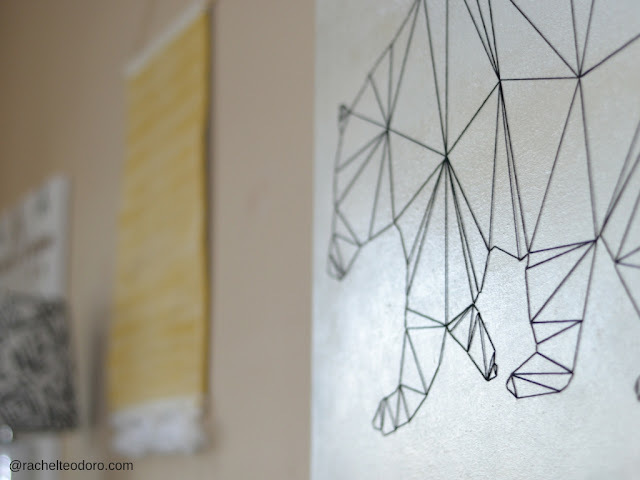 Oh my goodness I love, love this geometric bear string art!! Thanks for the tutorial!! I can't wait to try this!